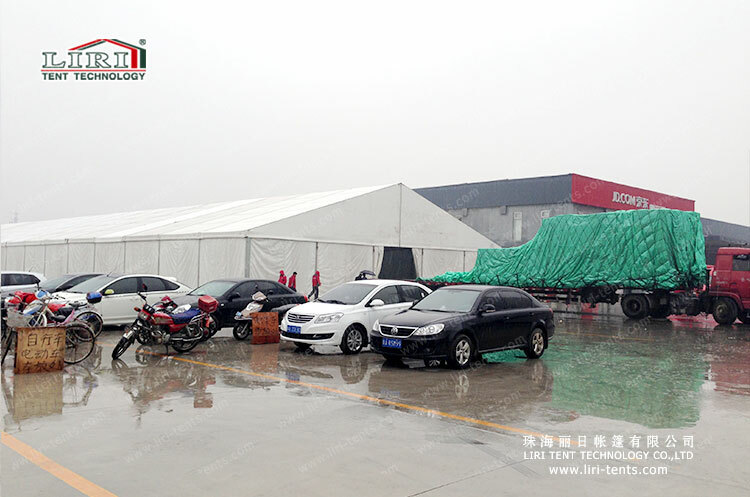 Liri Warehouse Tent Series are designed in accordance with the International Building Code. It satisfied the need of semi-permanent uses by strengthening the framework of the whole structure to achieve windload 120km/h, and snowload for the enhanced model. 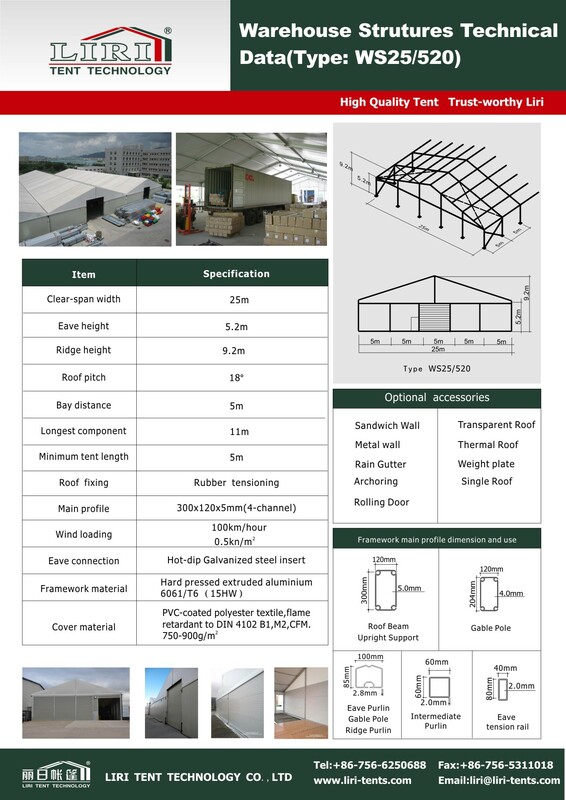 Span widths are available from 5m to 30m.